Grave : Plot II. Row C. Grave 50. 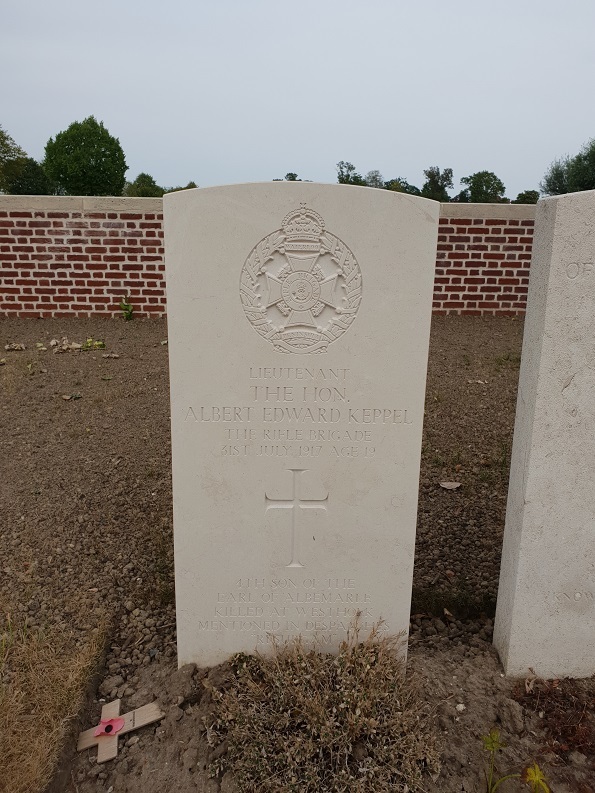 Albert Edward Keppel was a son of The Earl of Albemarle and of Gertrude Countes of Albemarle, of Quidenham, Norfolk. He was awarded the Mentioned in Despatches.